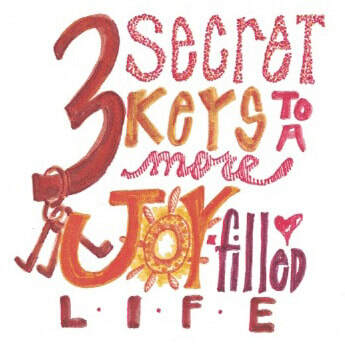 Sign up to receive 3 Secret Keys to a More JOY-Filled Life Mini Course. When you do, you will automatically receive The JOY Finder and 10 Steps into JOY! EnJOY. Welcome to The JOY Finder, my email communication with YOU who are wanting to initiate more JOY and refreshment in your life, plus stay in the loop with the happenings here at Refresh with Dawn Herring: Where Finding JOY Takes Center Stage. JOY is the precursor to refreshment for me, and I LOVE sharing my JOY with YOU! And The JOY Finder is one way I would like to share what is bringing me joy and how you can join with me in my joy ventures, venues and vocalizings through videos both live and otherwise, blog posts, and information about what's coming next. ​So I do welcome you to subscribe so you can be informed and inspired! As a subscriber, you will automatically receive my new mini course, 3 Secret Keys to a More JOY-filled Life, which is a series of three videos and journaling prompts, where I share 3 Secret Keys you can use to unlock more JOY in your daily experience. And May JOY Find You in the Most Unexpected Places. *10 Steps into JOY is Copyrighted to Dawn Herring, 2017. Permission for personal use only.